The hype around the smart home appears to be dropping off, with “smart speakers” such as Amazon’s Alexa looking to steal the thunder from intelligent lighting, heating, and security applications – and even dare I say it, the much-maligned smart refrigerator! While it’s nice to have lights that automatically switch on when you get home in the dark, the real intelligence behind systems and how they integrate is still lacking. We currently have a wide variety of technologies that offer a compelling vision of the future, but a delivery of the concept is impeded by the fact devices are isolated and unable to act autonomously together – the consumer must still provide the “smarts” to the home. Despite this, a recent GMSA report suggested that by 2020 the average connected home would house around 50 connected or internet of things (IoT) devices. According to Gartner, there were some 6.4 billion IoT units installed worldwide in 2016, and that number should now exceed 11 billion! 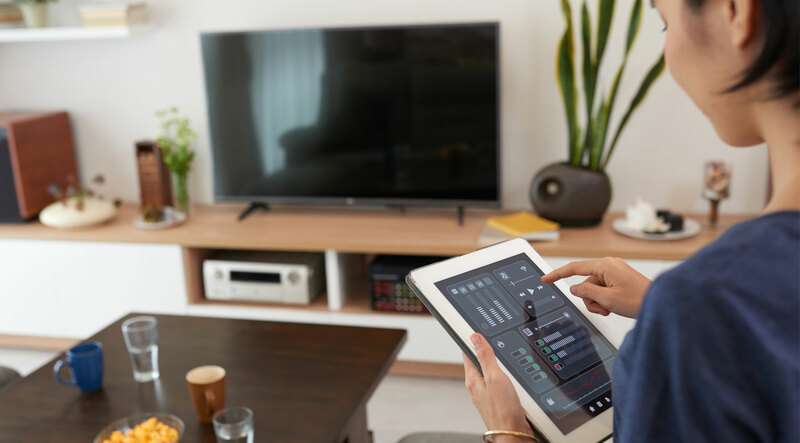 Most households already have multiple smartphones, tablets, speakers, gaming consoles and TV streaming devices connected to the network with at least one device in use in as many as three different rooms at once. According to the Consumer Technology Association nearly 30 million smart home products are predicted to be sold in 2019 – that is 23% more than 2018. Even at this level of connectivity, the traditional “one router per home” model is creaking under strain. Reliable internet is no longer deemed a luxury but a necessity, and consumers are already saying they cannot compromise on Wi-Fi in the same way they cannot compromise, or water, heating or other basic needs. When this burden on existing home networking infrastructure is increased five-fold or more, the pressure will become too large and smart home devices rendered useless. For example, an unreliable internet connection could prevent security cameras from recording an intruder or triggering an alarm notification to go off. Fortunately, all is not lost. A new networking paradigm is already here in the form of mesh networks. Mesh networks are designed to replace complicated router-and-extender setups with multiple identical nodes being placed around the home to create a large cloud of Wi-Fi coverage. The nodes are designed to be used in tandem and don’t build separate networks – so wherever you go within the cloud, you’ll always be seamlessly and automatically connected to the nearest node. The mesh network nodes allow data to be routed directly the where it needs to go within the network without having to be sent to the router and back. This reduces the burden on the router; furthermore, if a device is in proximity to more than one node, it can connect to all those nodes in range and benefit from the improved bandwidth the multiple nodes provide. Smart home mesh networks use in-built intelligent sensors to automatically detect and reroute data along the fastest, most intelligent path to enable you to take full advantage of the internet. In the unlikely event that a node should fail, the rest of the mesh system will continue to operate unperturbed and data routed around the failed node to ensure continuity of service. Modern mesh systems have another advantage in that they can be set to automatically access security updates so that you can keep your data and devices secure. So whether it’s a new smart TV, a home security system or an intelligent kitchen device make sure you can benefit from your smart home investments by pairing them with a quality mesh network that won’t let you or your smart devices down.